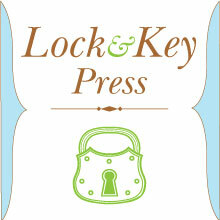 Lock and Key Press was founded in Chicago in May of 2006. As a hobby shop, I use a C&P Pilot Press, and a Poco No. 0 proof press to produce note cards, holiday cards, broadsides and other works of art. As a fine artist, I also teach printing classes in larger commercial shops and art centers, and hope to have an active teaching space of my own, dedicated to preserving and passing on the ever-evolving art of printing.